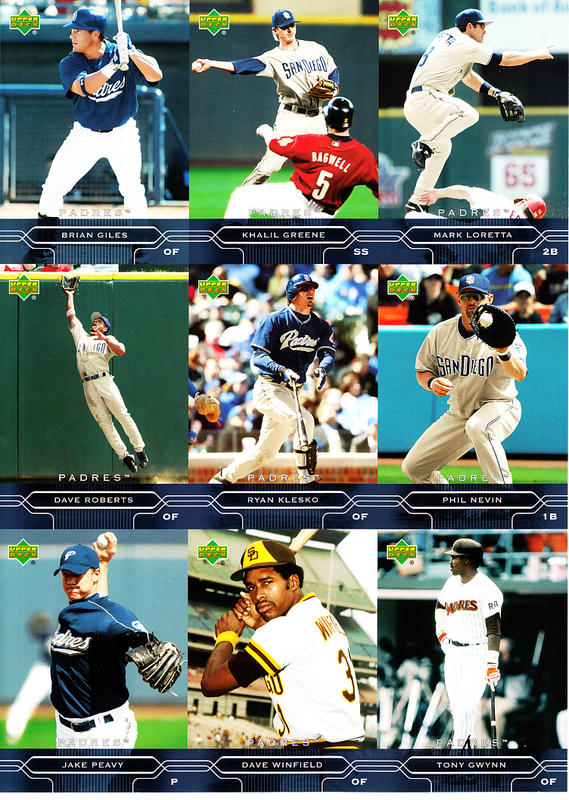 Very rare 2005 Upper Deck San Diego Padres set of 9 baseball cards in uncut sheet form, featuring Brian Giles, Khalil Greene, Mark Loretta, Dave Roberts, Ryan Klesko, Phil Nevin, Jake Peavy and Hall of Famers Dave Winfield and Tony Gwynn. 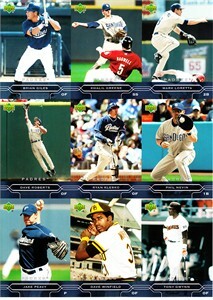 Distributed exclusively at one 2005 Padres home game, and most were discarded. Has small crease on the Greene card plus very minor flaws and wear. ONLY ONE AVAILABLE FOR SALE.